Dr. Roderick P. Hart (Ph.D., Pennsylvania State University, 1970) holds the Allan Shivers Centennial Chair in Communication at The University. His area of special interest is politics and the mass media and he is the author of twelve books, the most recent of which is Political Tone: How Leaders Talk and Why (University of Chicago Press, 2013). He is also the author of DICTION 7.0, a computer program designed to analyze language patterns. Dr. Hart has delivered public lectures at more than ninety colleges and universities and received grant support from the Ford Foundation, Carnegie Foundation, Exxon Foundation, Hatton Sumners Foundation, Annenberg Foundation, Dorot Foundation, and the Pew Charitable Trusts. A former Woodrow Wilson Fellow, Hart is listed in Who's Who in America, the Directory of American Scholars, International Who's Who in Education, and American Men and Women of Science. 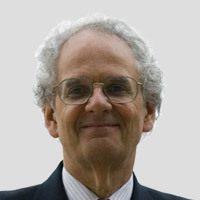 He was named a Research Fellow of the International Communication Association, a Distinguished Scholar by the National Communication Association, and the National Scholar of the Year Award from Phi Kappa Phi Honor Society, and has received the Murray Edelman Career Award from the American Political Science Association. Dr. Hart has been inducted into the Academy of Distinguished Teachers at the University of Texas and has also been designated Professor of the Year for the State of Texas from the Carnegie/C.A.S.E. Foundation. Previously he received the Eyes of Texas Student Involvement Award and the Texas Excellence Teaching Award from the University of Texas, the Excellence in Teaching Award in the Humanities from Purdue University, and the Outstanding Young Teacher Award from the Central States Communication Association. He has supervised over sixty graduate theses and dissertations. He is the founding director of the Annette Strauss Institute for Civic Life and served as Dean of the Moody College of Communication from 2004 to 2015.